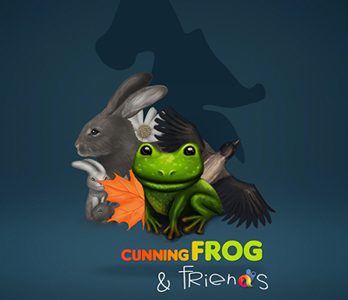 Interactive book app Cunning Frog & Friends is educational story for kids aged 1,5-5. English text and narration by elder male voice. Original graphics and no stock images! No disturbing links or ADs. iPad 3 or above. iOS 5.0 or above. Android version soon to come. 2014 © Digitar Interactive OÜ. All Rights Reserved.